Kingpin’s Hideaway is tucked away in the basement of Queen Street’s longstanding vintage boutique Cabaret. 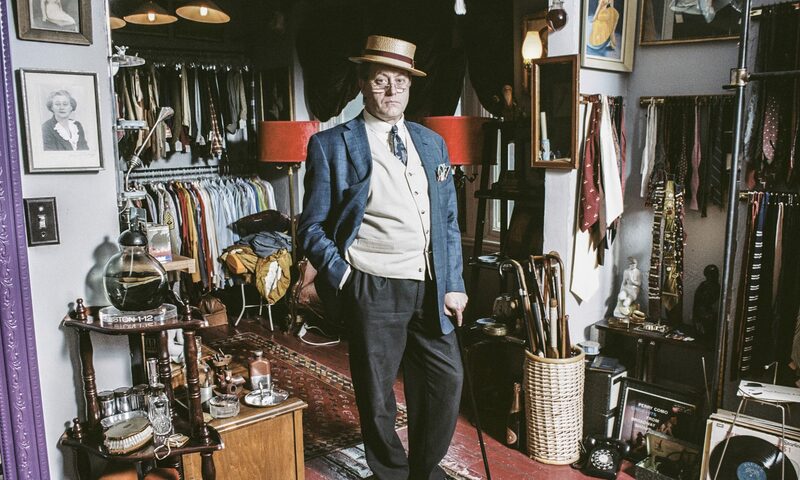 This pop-up shop for (mostly) men is the doing of Jonathan Hagey, a vintage collector offering up “Gentlemenswear. With Balls,” or so the tagline goes. Housing everything needed for a dapper silhouette, Hagey is prepared to dress men from head to toe, helping them look and feel their best while scrapping the ubiquitous jeans ‘n’ plaid combo…Read the rest of the article here on postcity.com! Love the store poped in this evening to look around and found that it wasn’t just a store but an experience keep up the good work.